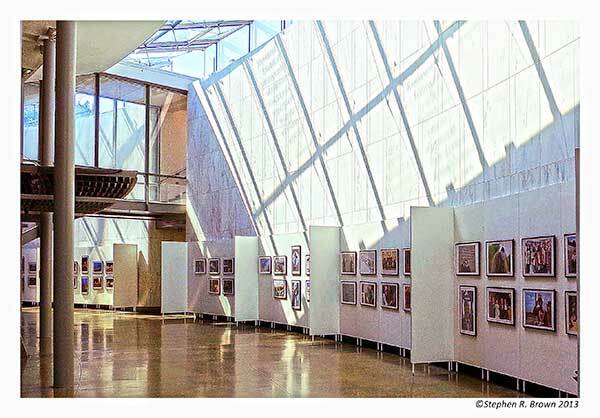 We took down the show at the Women In Military Service For America Memorial yesterday and as we strolled out, I looked back and realized what an amazing opportunity it had been to show my work in such a gorgeous well-lit space in the middle of ARLINGTON NATIONAL CEMETERY. It’s hard to estimate visitors but it was a well-attended show and exposed the WWWII Memorial to additional publicity. Both my DC PHOTO BOOK: An Insider’s View and WWII MEMORIAL: Jewel of the Mall books are sold at the Women’s Memorial and i assume Honor Flights and their women veterans will be stopping by. Marge runs the registration desk and she is a wealth of information on the Memorial. From an architectural and design view, the Women’s Memorial is very cleverly designed to quietly fit into the Arlington Cemetery environment. 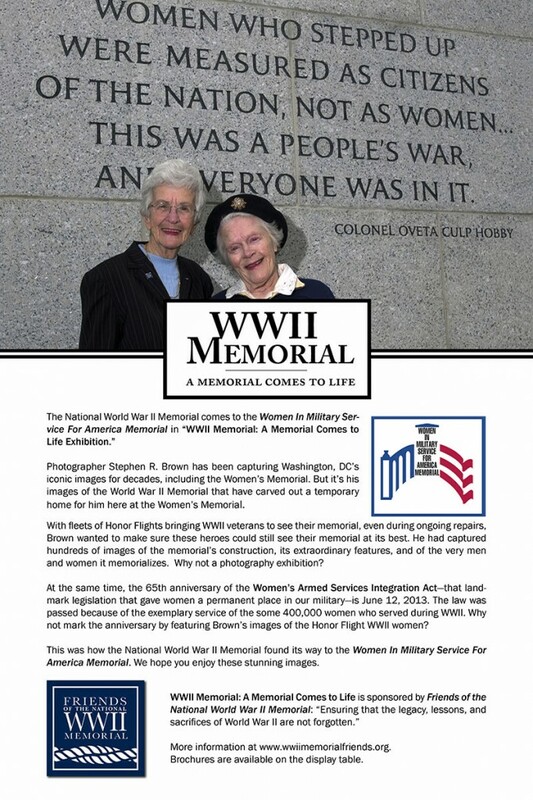 October 22, 2014 | Filed under Blogs, Books, DC Photo Book, Honor Flight, Photography and tagged with Arlington Cemetery, Current Affairs, DC PHOTO BOOK, Honor Flight, Jewel of the Mall, National Park, National Park Service, patriotism, photography, WWII Memorial.